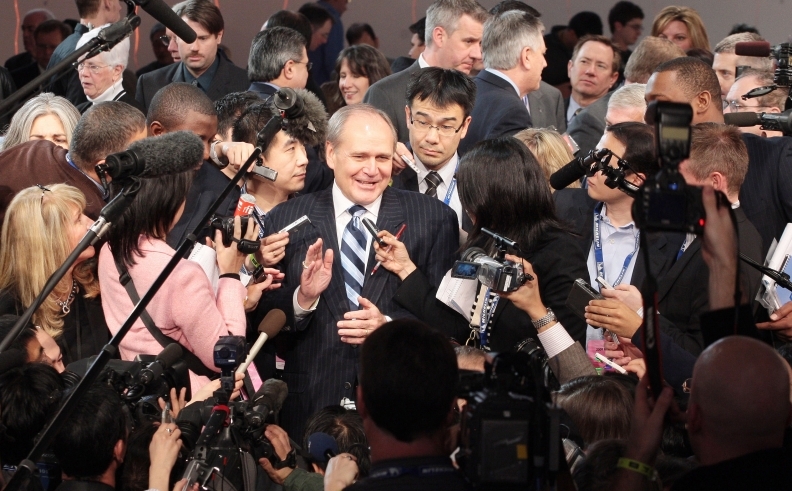 Chrysler CEO Bob Nardelli speaks with reporters on Sunday. DETROIT -- Chrysler LLC, saying it wants to avoid saddling dealers with unwanted vehicles, may extend a month-long production halt at some factories. On Dec. 17, the company said it would stretch the holiday shutdown at its North American plants until at least Jan. 19 after its U.S. sales fell 47 percent in November. Chrysler volume then plunged 53 percent in December, capping a 30 percent decline for the year, more than any other major manufacturer. CEO Bob Nardelli told reporters at the Detroit auto show on Sunday that the company has a responsibility to make sure were not jamming dealers to buy cars, an issue that has soured relations with retailers in the past. The company will decide which ones to reopen on a case-by-case basis, depending on market conditions, executives said. Most of Chryslers assembly and parts factories were scheduled to reopen Jan. 19. Chryslers Windsor, Ontario, minivan plant and Conner Avenue Dodge Viper factory in Detroit are scheduled to resume output Feb. 2. Executives reiterated that the company doesnt need an alliance to survive. The $4 billion federal bridge loan granted by President George W. Bush is sufficient for now, even in a dramatically shrinking market, executives said. Industrywide U.S. sales dropped 18 percent last year to a 16-year low and are projected by analysts and executives to fall again in 2009. Chrysler had sought $7 billion in a rescue plan rejected by the U.S. Senate last month. Chrysler is still seeking partners, Nardelli said, adding there are no merger talks now with General Motors or any other company. Talks with the UAW will begin this week to negotiate concessions hinged to the $4 billion loan.